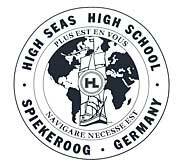 The "Summer High Seas High School®"
In 2002 the Hermann Lietz–Schule Spiekeroog has extended the nine–year–old HSHS–project, which originally was only for students aged between 16 and 18 years, as a summer–school for 12 to 15 year old students. For four weeks, 30 Students and 12 crew members sailed on board the triple masted topsail schooner "Thor Heyerdahl" to England, Wales and Scotland. The voyage started in Kiel. Via Dover, Torquay, Lundy, Aberystwyth, Stornoway on the Outer Hebrides (Sco) and Stromness (Orkney/Sco), we reached our final destination, Skagen in Denmark. The aim of this school project, which is unique in Germany, is to strengthen young people’s sense of personal responsibility, improve their knowledge in the English language and learn about English, Irish, Scottish and Welsh culture. The pupils share responsibility for running the ship, live in a close–knit community together with the crew and teaching staff, do normal everyday work such as cooking and cleaning and take part in land based excursions (London, Stornoway, Lundy).